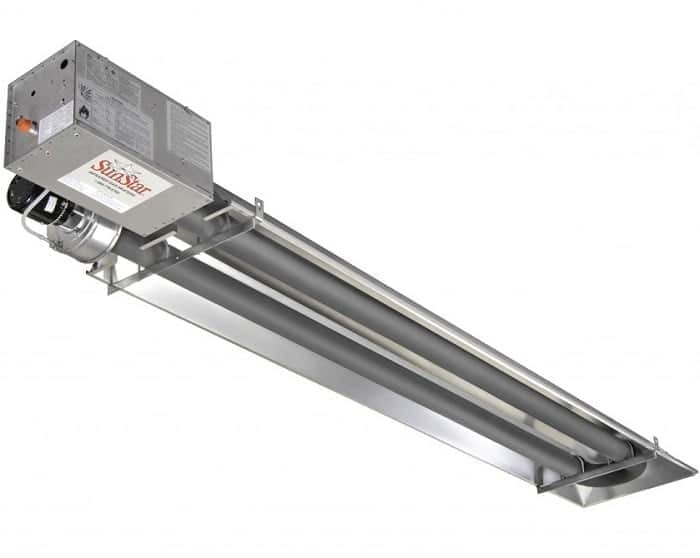 Whether you need to heat your warehouse, garage, or other hard-to-heat spaces, the SunStar SPS/U Series infrared heaters provide both the field efficiency of radiant heat and the installation flexibility you need…and all at a comfortable price. 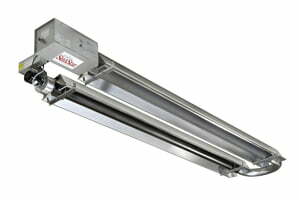 SunStar’s patent pending innovative safety feature for positive pressure radiant tube heaters is called the “Tube Integrity Safety System” (TISS™). In the unlikely event of a tube failure, TISS™ has been designed to automatically shut off the heater. The revolutionary TISS™ uses a simple principle to place an electrically insulated aluminum wire in tension above the reflector. Low voltage is then continuously passed along the wire in line with the gas control circuit. If heat levels increase due to heat exchanger failure, the wire melts and the safety circuit is broken, breaking the 24 volt circuit and shutting down the heater. You may never know it is there, but it provides peace of mind. *Model number is based on Btu/hr input (e.g., 100,000 Btu/hr), total emitter length (e.g., 40 feet) and control suffix for gas type (eg. natural gas-single stage-N5 or two stage-N7). For example, the model number for a straight tube single stage heater would be SPS100-40-N5 and for a U-tube heater would be SPU100-40-N5. For Tough Guy option the model number would be SPU100-40-TG-N5. Note: for Carwashes, Dairy Barns, Greenhouses, Swimming Pools, Waste Water Treatment Plants, and other high humidity / corrosive environments, Tough Guy with all aluminized tubes is recommended. 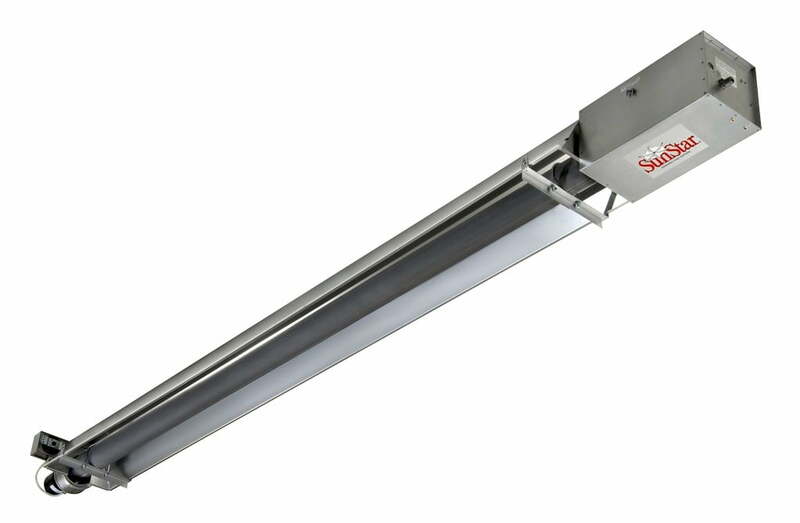 * When used indirect vented, minimum clearance for Ceiling must be: 12″ for SPU 40-75, and 18″ for SPU 100-200. If optional corner and u-bend reflectors are not used, the clearance must be 18″. ** Maximum clearance below reduces by 50% once you are 25ft. downstream from the burner box.